Working in a dress shop is always a challenge. Tact must be used at all times. Too bad customers don't feel any need to be tactful in return. Each and every day brings unique challenges. The racks must constantly be returned to order. 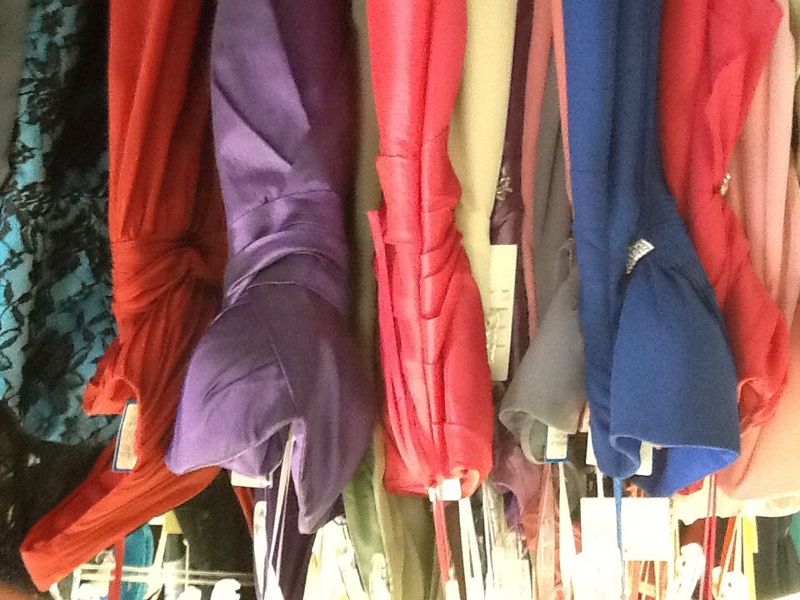 We actually prefer customers to allow us to return the dresses to the racks our selves. That way we can make sure the dress is right-side out, that all zippers are closed, and all the hanging loops are properly placed on the hanger. When end we replace the dress on the rack we strive to place it in the proper area to make the search for a dress easier for everyone. For some reason women have a hard time accepting the size they require. Even after they have been assured that bridal sizing is ver small the insist that they try on dresses they don't have a hope of fitting into. When we ask, "don't force it if it is too small"' the agree and the I hear the sound of zippers tearing and seams splitting the still tell me they are not forcing the dress, just that it seems a little tight. A little tight!!!!!! They are so stuffed in the fabric is about to tear from the strain. i will be celebrating in four weeks when we close the doors for the last time. ...and now that I look it I think your photo is upside down. My husband works in retail and he tells me all the time about how hard it is to deal with rude customers.